Del Samatar and Sofia Samatar. Monster Portraits. Rose Metal Press, 2018. 76 pgs. $14.95. Despite anything you’ve heard about the death of this and that, we live in an exciting time for literature. Genres and styles have expanded considerably during the last half-century and particularly the last generation, with much contemporary writing challenging the idea of genre itself. 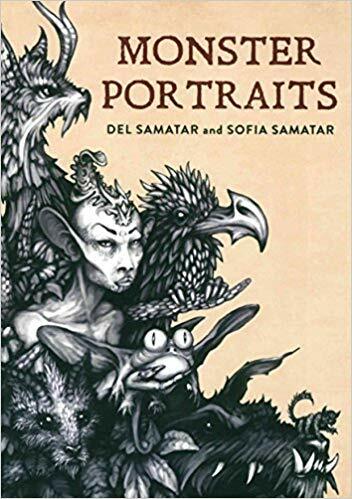 The back cover of Monster Portraits, with writing by Sofia Samatar and drawings by Del Samatar, refers to the book as “fiction & art.” When I purchased this book, and as I was reading it, I read the text as poetry—prose poetry perhaps, but poetry nevertheless. Other readers would probably call the pieces flash fiction, though some sections also have the feel of nonfiction. What difference does it make what we call a thing? Isn’t literature analogous to that rose that would smell as sweet called by any other name? As a reader, I approach genres differently, as I suspect almost all of us do. I read poetry more slowly than prose, pausing more often, thinking less about trajectories, even though we know that collections of poetry are supposed to be arranged with an arc in mind. I’m more likely to mull over an individual word when I read poetry, and to yield my attention to other small units. Prose is made of words, too, you might say, but the units of fiction and even nonfiction are different than words—they’re paragraphs at least, or scenes. If prose is written the way masons build walls, brick by mortared brick, poetry is written the way Buddhist monks create sand paintings, grain by colored grain. Monster Portraits is anything but conventional, so it’s no surprise that it’s published by Rose Metal Press, which has made a name for itself publishing hybrid work. The books they publish are consistently interesting, in content as well as form. 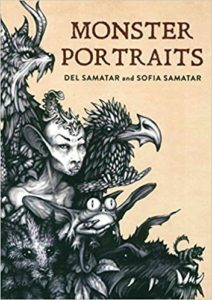 Monster Portraits in particular is puzzling and provocative, and the further I read in it, the more I liked it. Syncretic and sedimentary in their development, the pieces often rely on surprising juxtapositions that become perfectly logical by the end of the piece. Ultimately, the collection explores one question—who or what is a monster?—and also asks the more challenging one—who or what isn’t? “She emerged from the sea at Rostai, crowned with foam. I had been camping on the beach. The water fragmented about her tendrilled head. I scrambled for my notebook, knocking over my little cooking pot, spilling my dinner, burning my hand on the coals. 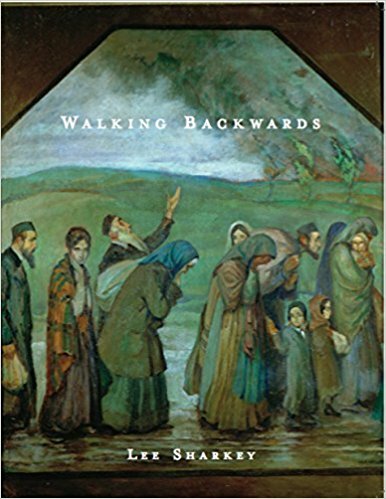 “In the sixteenth century, the Anabaptist theologian Balthasar Hubmaier used a play on words to attack the reverence for the sacramental wafer. In his pun, the monstrance holding the wafer became the monster that rises from the sea in Revelation 13. O monstra, monstratis nobis monstruosa monstra!” The sin was the worship of the creature in place of the Creator. The error was a passion for the image. “The Green Lady left me retching. I’d forgotten to hold my breath. “The monster itself is a revelation. What does the Green Lady have to do with a Christian sacrament? Is the speaker making a theological argument? If a monster is a revelation, what does it reveal? Is Hubmaier’s wife linked to the Green Lady in any way other than through their affiliations with water? Through this shift in content, the piece takes on significantly greater seriousness; it’s no longer simply fantasy or fairy tale (if fantasy or fairy tale are ever simply that), but also cultural commentary. Certainly, this piece is evaluating definitions of the monstrous, suggesting that the perpetrators of torture rather than their victims are the monsters. 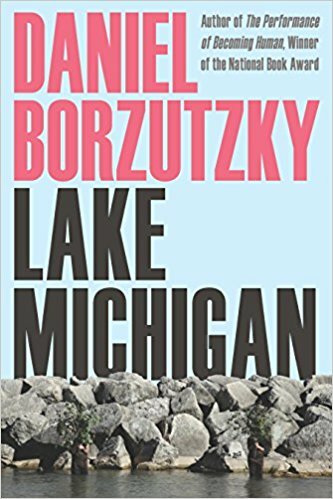 It also, however, provokes us to think about language, how relations among words sometimes signify hidden realities, how text is itself an image—and in this book, is also surrounded by actual images. Those of us who value art do often share “a passion for the image.” Perhaps all artists must at least risk heresy if our work is to be any good, not against religious doctrine per se but against received beliefs about what art can and should be. “Endure the scar. When you’re alone, on the bus, on the tracks, in the vacant lot, on the edge of the bathroom sink, that’s where they find you. This book is unlike anything else I’ve read. Like the monsters inside it, Monster Portraits found me and found me and continues to find me. This entry was posted in A Review A Week and tagged monster portraits, Samatar on October 15, 2018 by Lynn Domina. Marci Calabretta Cancio-Bello. 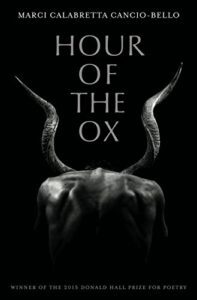 Hour of the Ox. University of Pittsburgh Press, 2016. 62 pgs. $15.95. Hour of the Ox, which won the Donald Hall Prize for Poetry, tells a story of loss, of the richness of a former life and also the richness of a current life. 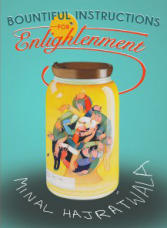 Its author, Marci Calabretta Cancio-Bello, succeeds in these poems through her reliance on imagery that is not only concrete but unusual, her trust in the power of metaphor, and her adoption of an authentic and informed yet thoughtfully quiet voice. Her language is evocative, restrained, and precise. The poems link personal memory with cultural tradition, such that disruption of one signifies disruption of the other. Relationships between lines and sentences are particularly interesting in this poem. The first sentence requires four-and-a-half lines, and though it consists of multiple clauses, Cancio-Bello does not separate any of them with commas, letting them run into each other instead like a person speaking too quickly, without a pause to suggest grammar’s influence on meaning. She reserves the single comma to introduce the final series of phrases brimming with modifiers and objects but lacking any subject. I am examining this first sentence so closely because I am intrigued at how Cancio-Bello controls the pace of this poem and how the pace helps develop as well as subvert meaning. The enjambment between lines two and three is an example of such subversion, especially following the quickly spoken first two lines. Given the repetition of “and I said” and “and you said,” readers are expecting the words that follow “you said” to be a response to “I didn’t think you had any need to be forgiven.” But they’re not. The word that follows, “nothing,” is a word in the poem only, not a word the “you” utters. The imagery that follows is beautiful, but as the poem progresses, the speaker and the readers begin to realize that perhaps the speaker had misunderstood the “you” all along. Perhaps, when the “you” raised the subject of forgiveness, it wasn’t the “you” who required forgiveness but the speaker. The structure of this poem permits such ambiguity, which is almost always more interesting than certainty, without confusing the reader. The best poems reward such close reading, not merely for the purpose of literary analysis, but for instruction in craft. I am often astonished at the skill of contemporary poets. I read a poem, and I wonder, “How did she do that?” And then I think, “I want to do that, too.” Nearly all readers, I think, will enjoy the poems in Hour of the O, even when the poems themselves are somber. Readers who are also poets will want to read and reread, hovering above these pages in order to absorb just a little, and then a little more, of Cancio-Bello’s skill. This entry was posted in A Review A Week on August 21, 2018 by Lynn Domina. Mark S. Burrows, ed. 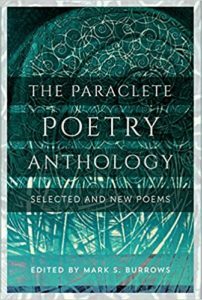 The Paraclete Poetry Anthology. Paraclete Press, 2016. 188 pgs. $15.60. 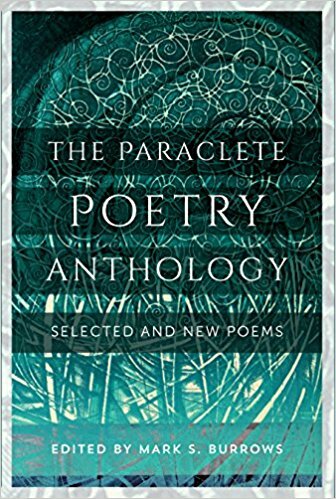 Paraclete Press has, over the last few years, become one of the most prominent publishers of contemporary poetry emanating from the Christian tradition. Their list includes some of the finest poets writing today, and their production values mirror the quality of the literature. 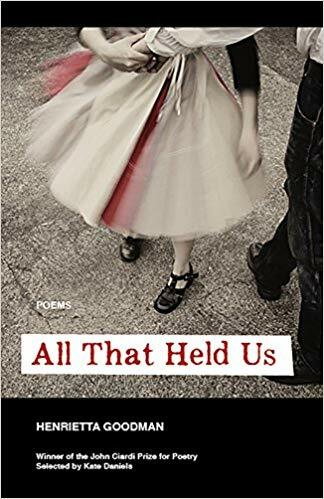 So it is no surprise that Mark S. Burrows, poetry editor at the press, has also edited an anthology featuring several of the poets they’ve published. Some of the poets featured here will be familiar to many readers, e.g. Scott Cairns, Paul Mariani, Rainer Maria Rilke; others will be familiar more likely through their writing in other genres, e.g. Phyllis Tickle, Thomas Lynch; others still may be new to many readers, e.g. Paul Quenon, Fr. John-Julian. In addition to Rilke, the book includes two other poets in translation, Anna Kamieńska and Said. Several other poets are well-published but not yet as known as they should be—Bonnie Thurston, Greg Miller, William Woolfitt, and Rami Shapiro. One of the most gratifying features of the book, though, is its inclusion of new work be each of the poets (with the exception of Phyllis Tickle), as well as poems from collections published by Paraclete. I could easily devote several pages to discussions of each of these poets’ work. As with reviews of most anthologies, it’s nearly impossible to do justice to the collection by focusing on only one or two of the contributors, especially when they write in such different styles and examine such a range of topics—both good things in an anthology. 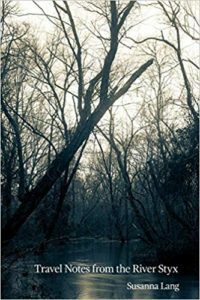 In an attempt to suggest this collection’s range and also to write a review of reasonable length, however, I’ll discuss two poems by two quite different poets, trusting that readers will be intrigued enough by these examples to explore the book further. give off sputters of smoke. This stanza succeeds for several reasons, but most particularly through its concrete language and strong rhythm. The metrical insistence of the first line, consisting of two consecutive spondees followed by one trochaic foot and a final accented syllable, is augmented by its hard consonant sounds. The second line slows down a bit, with its longer and softer sounds, but it retains sonic interest, opening and closing with spondees, though these are less obvious than the pair in line one. (This poem—like many of Woolfitt’s—is written in comparatively regular stanzas, but it is not composed in a strict received form. It is clearly informed by metrical practice without being enslaved by it. I’m paying so much attention to Woolfitt’s attention to meter—or if not meter, at least rhythm—because one significant challenge of free verse is to retain music, a challenge Woolfitt meets particularly well.) Additional devices enhance the music—the consonance and alliteration of “blazes…kindle…leaf litter,” the assonance of “hot…copper scorch.” Such attention to craft keeps a reader reading, even when the reader believes she’s attending only to content. in the dark soil that he eats. According to Islamic tradition, God has 99 names (though some sources suggest many more), with the 100th name hidden. The speaker here in asking to become acquainted with all of God’s names is asking to know God fully, to let nothing of God remain hidden, even the final name which is both hidden and “Hidden.” The speaker is humble, recognizing the possibility of being “immobilized by my own light,” that is, by the light of the created rather than of the creator. The poem begins peculiarly though, with the speaker it seems giving God permission to “pray to everything / that is near me.” Does God pray? If God prays, what would God pray to, or about, or for? As a poem, this piece relies most on lineation to achieve its effect. The lines most often alternate between longer and shorter, so the rhythm speeds up and then slows down. 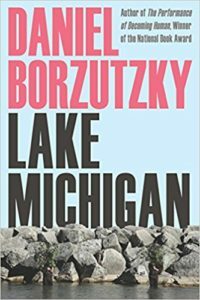 Although nearly every line reproduces a grammatical unit, Said (or Burrows as his translator) nevertheless exploits line breaks so that meaning becomes augmented through the surprise of what comes next. To demonstrate how line breaks matter in free verse poetry, imagine that the second line broke after “pray” rather than after “everything.” The emphasis, the meaning, of the sentence would entirely shift, for a line like “to everything that is near me” suggesting a solipsism contrary to the poem’s purpose. At first glance, this poem looks simple, and its simplicity is part of its strength, but its simplicity is neither arbitrary nor easy to achieve. The work of the other poets in the anthology are equally interesting. 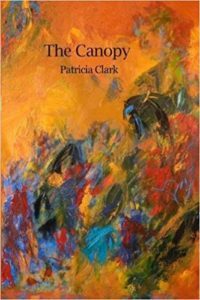 The representative sample of each poet’s work is large enough to pique any reader’s interest and to demonstrate the consistency of the poets’ styles and strengths. The book is a welcome introduction to Paraclete Press’ poetry list—I look forward to a second volume featuring their newer poets in a few years. This entry was posted in Uncategorized on April 26, 2018 by Lynn Domina.